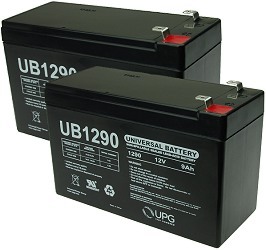 Set of two 12 Volt 8Ah batteries for all versions of the Razor® E200 and E200S electric scooter. Includes 12 month battery replacement warranty. 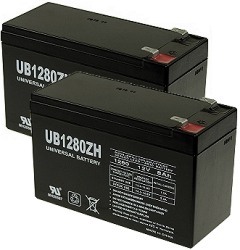 Set of two 12 Volt 9Ah batteries for all versions of the Razor® E200 and E200S electric scooter. This 9Ah battery set provides 12% more ride time than the 8Ah batteries sold above. Includes 12 month battery replacement warranty. 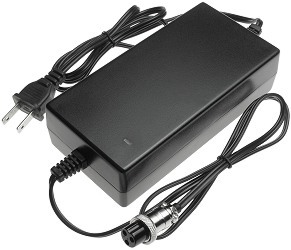 Battery pack adapter for version 8-12 of the Razor® E200 and E200S electric scooter. 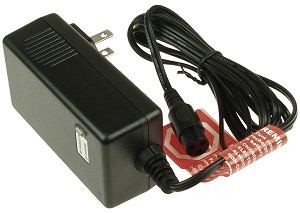 Original battery charger for all versions of the Razor® E200 and E200S electric scooter. Charger rating 24 Volt 1.5 Amp (1500mA). 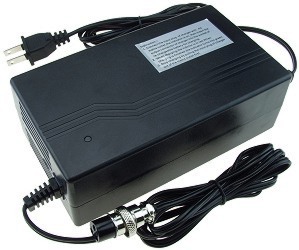 Replacement battery charger for all versions of the Razor® E200 and E200S electric scooter. Charger rating 24 Volt 1.6 Amp (1600mA). 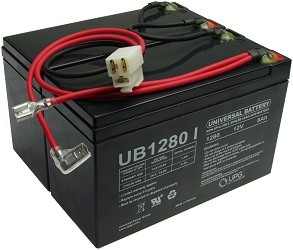 Fast rate battery charger for all versions of the Razor® E200 and E200S electric scooter. Recharges the battery pack in around half the time that the original charger takes. 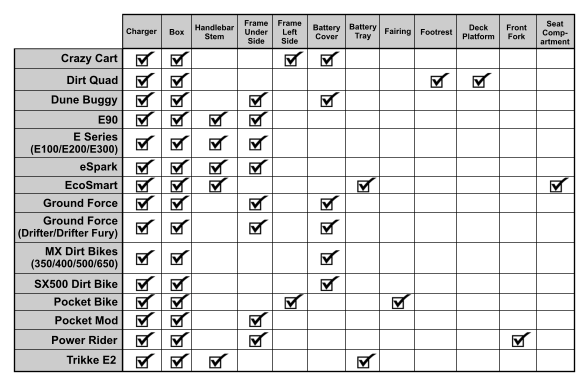 Charger rating 24 Volt 3 Amp (3000mA). 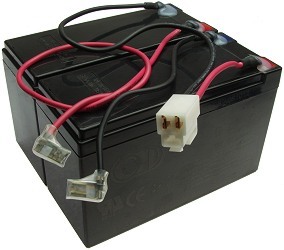 Battery charger port for all versions of the Razor® E200 and E200S electric scooter. 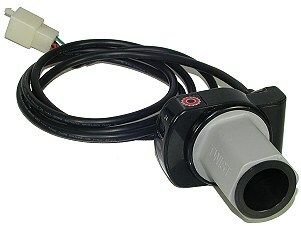 Adjustable top speed limiter for version 1-9 of the Razor® E200 and E200S electric scooter. Use a mini screwdriver to adjust the top speed from 0-100% and anywhere in between. Easy to install. Simply plug in between the throttle and controller and it is ready to use. 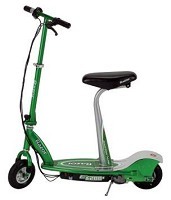 Ideal for training beginning riders because the top speed can be adjusted slower at first and then faster as their riding skill level increases. 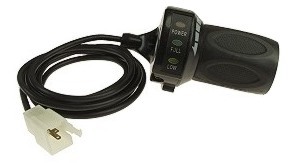 Adjustable top speed limiter for version 10-23 of the Razor® E200 and E200S electric scooter. Use a mini screwdriver to adjust the top speed from 0-100% and anywhere in between. Easy to install. 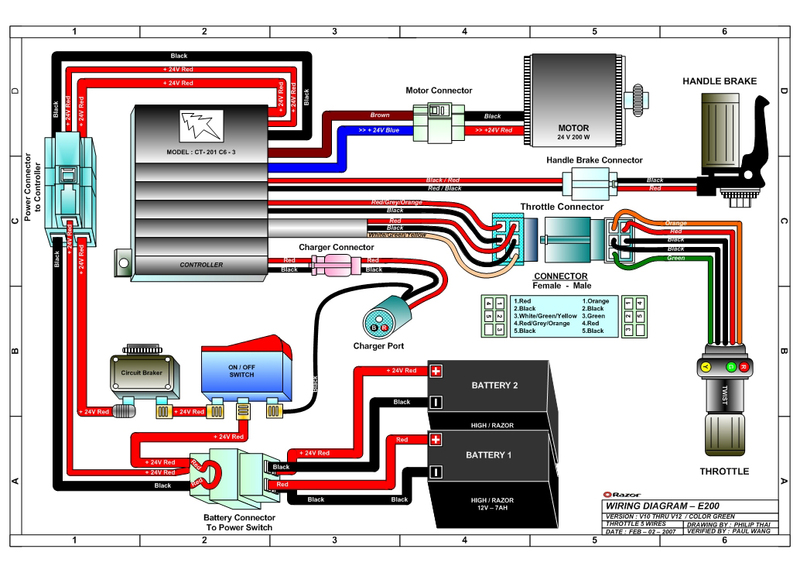 Simply plug in between the throttle and controller and it is ready to use. Ideal for training beginning riders because the top speed can be adjusted slower at first and then faster as their riding skill level increases. Thumb throttle with 3 LED indicator lights for version 1-4 of the Razor® E200 and E200S electric scooter. This throttle has 4 wires and 3 indicator lights. Throttle THR-55R sold below can replace this throttle if you prefer a twist throttle. 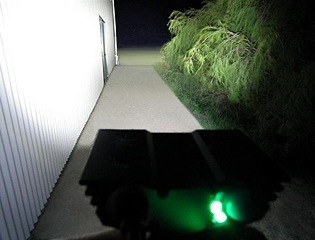 Twist throttle with 3 LED indicator lights for version 5-9 of the Razor® E200 and E200S electric scooter. This throttle has 4 wires and 3 indicator lights. Throttle THR-66 sold above can replace this throttle if you prefer a thumb throttle. Twist throttle with 3 LED indicator lights for version 10-23 of the Razor® E200 and E200S electric scooter. This throttle has 5 wires and 3 indicator lights. Twist throttle with 3 LED indicator lights for version 10-23 of the Razor® E200 and E200S electric scooter. 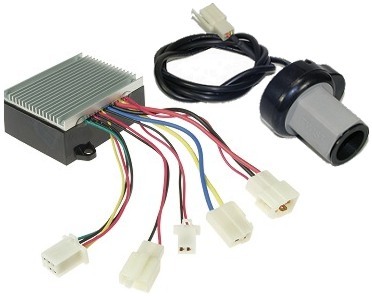 Replaces throttles with 5 wires and 3 indicator lights. 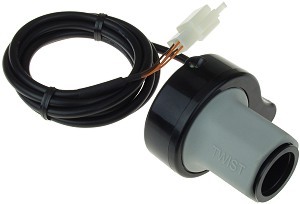 Twist throttle with no LED indicator lights for the version 24+ Razor® E200 and E200S electric scooters. This throttle has 4 wires and no indicator lights. 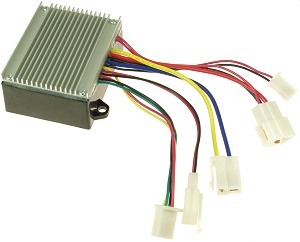 Speed control module for version 1 through 9 Razor® E200 and E200S electric scooter with 4 connector speed controller. 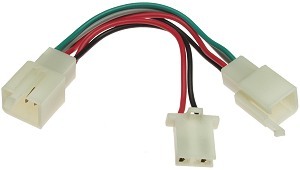 This item consists of a 5 connector controller and a 2 to 1 connector adapter. Alternative part numbers for this controller are CT101 and CT-101. 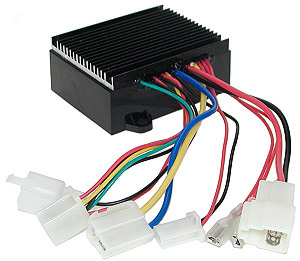 Speed controller module for version 1 through 9 of the Razor® E200 and E200S electric scooter with 5 connector speed controller. 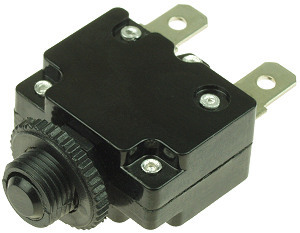 Alternative part numbers for this controller are CT201, CT-201, CT201C6, HB2430TYC4, and HB2430TYD4-FS. 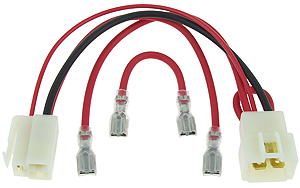 CT101 controller adapter for Razor® E200 and E200S electric scooter. 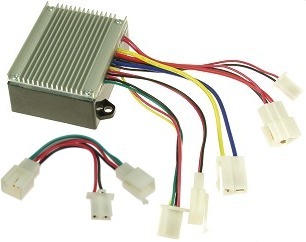 If you accidentally purchased a 5 connector SPD-CT201C6 controller and need a 4 connector SPD-CT101 controller this adapter will convert a SPD-CT201C6 into a SPD-CT101. 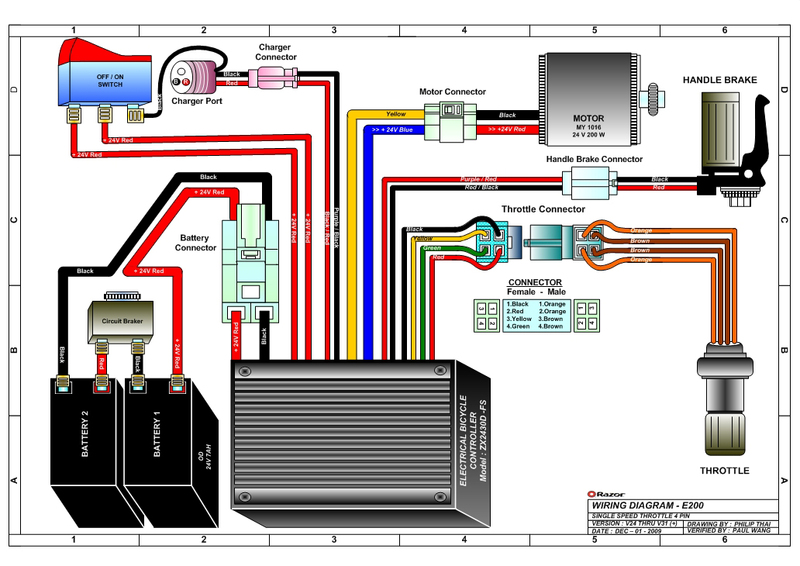 Speed controller module for version 10 through 12 of the Razor® E200 and E200S electric scooter. 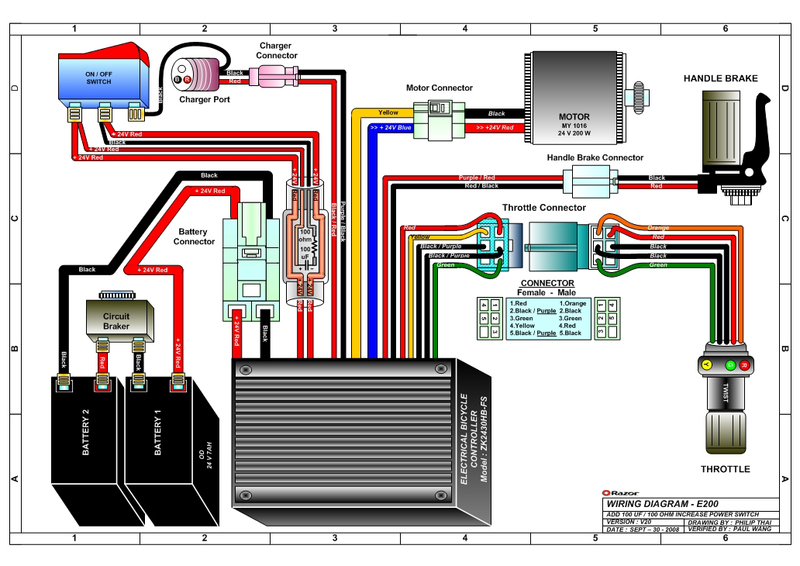 Speed controller module for version 13 through 23 of the Razor® E200 and E200S electric scooter. 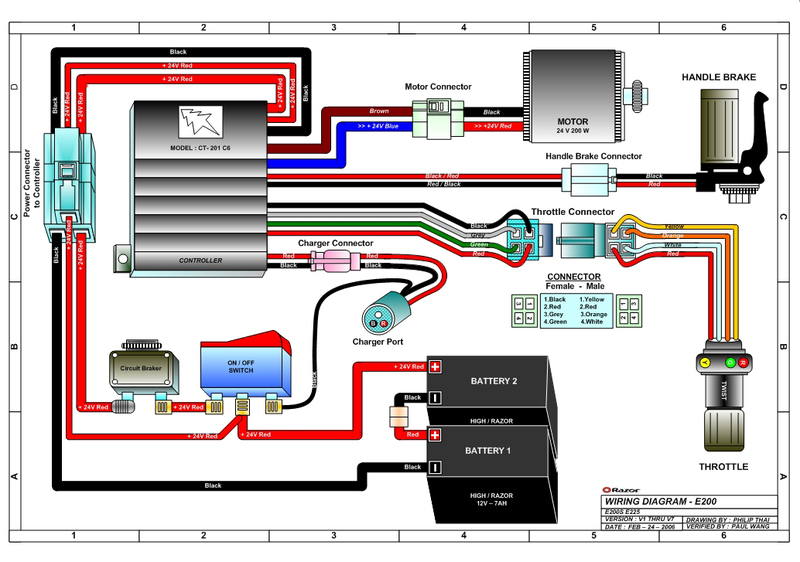 Single speed controller (control module) for version 24+ of the Razor® E200 electric scooter. 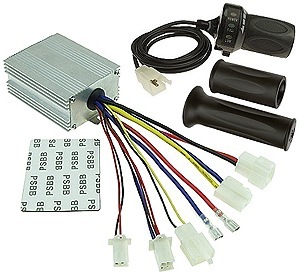 Single speed throttle and speed controller (control module) kit for version 13 and up of the Razor® E200 electric scooter. The Razor® E200 version 13-23 has a variable speed throttle and controller and version 24+ has a single speed throttle and controller. 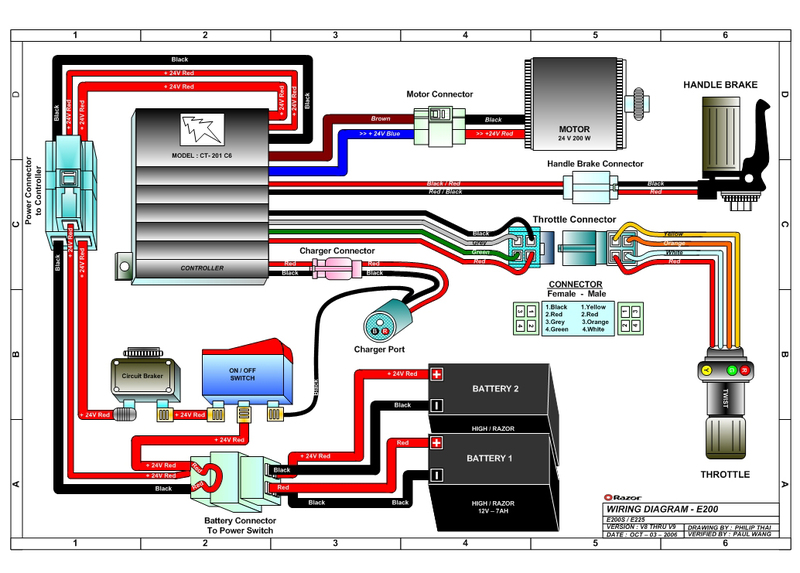 This kit will replace the original throttle and controller on version 13-23 and on version 24+ will convert the scooter to have a variable speed throttle and controller so its speed can be continuously adjusted to whatever level the rider wants. Easy plug-and-play installation. 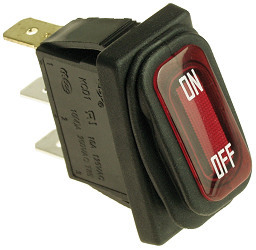 On/off power switch with red power on indicator light for all versions of the Razor® E200 and E200S electric scooter. 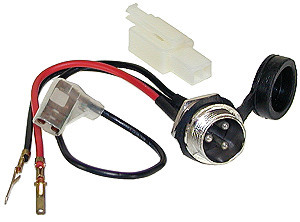 Reset switch / circuit breaker for all versions of the Razor® E200 and E200S electric scooter. 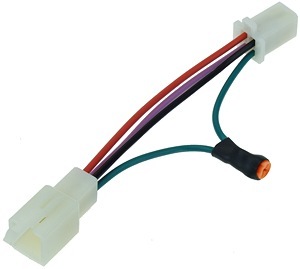 Reset switch / circuit breaker wire for all versions of the Razor® E200 and E200S electric scooter. 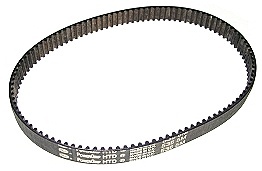 Premium quality drive belt for version 1-4 of the Razor® E200 and E200S electric scooter. Fits all belt drive E200 and E200S electric scooters. Motor chain sprocket for version 5 and up of the Razor® E200 and E200S electric scooter. Fits all chain drive E200 and E200S electric scooters. Chain with master link for version 5 and up of the Razor® E200 and E200S electric scooter. Fits all chain drive E200 and E200S electric scooters. 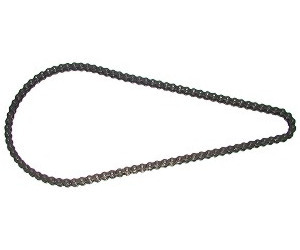 Original OEM style continuous loop chain for version 5 and up of the Razor® E200 and E200S electric scooter. Fits all chain drive E200 and E200S electric scooters. This chain does not have and does not require a master link. 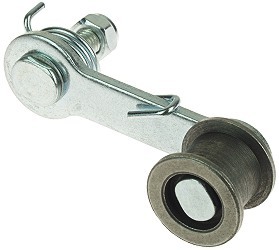 Chain tension adjuster for version 36+ of the Razor® E200 and E200S electric scooter. 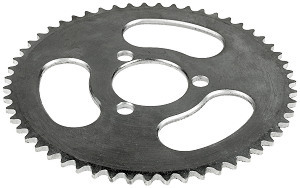 Rear wheel chain sprocket for version 5 and up of the Razor® E200 and E200S electric scooter. Fits all chain drive E200 and E200S electric scooters. 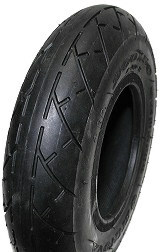 Tire for all versions of the Razor® E200 and E200S electric scooter. 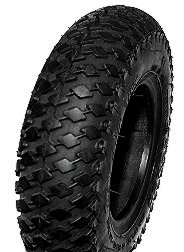 Tire for all versions of the Razor® E200 and E200S electric scooter. Street tread electric scooter tire with solid center rib. 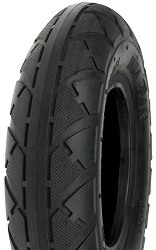 Tire for all versions of the Razor® E200 and E200S electric scooter. 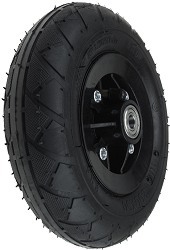 Low rolling resistance street tread electric scooter tire. 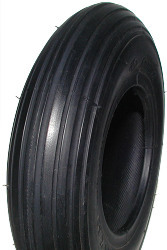 Tire for all versions of the Razor® E200 and E200S electric scooter. Knobby / turf tread electric scooter tire. 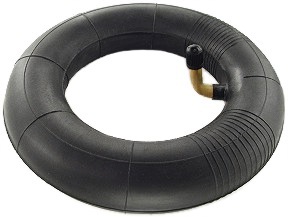 Premium quality inner tube for all versions of the Razor® E200 and E200S electric scooter. 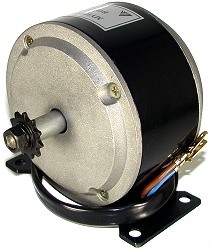 Motor for belt drive Razor® E200 and E200S electric scooters. Belt guard for all belt drive Razor® E200 and E200S electric scooters. Includes mounting hardware. 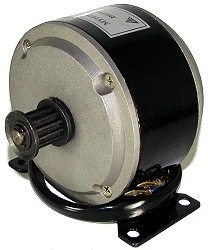 Motor for chain drive Razor® E200 and E200S electric scooters. 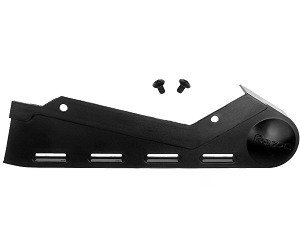 Replacement chain guard for version 5 through 35 of the Razor® E200 and E200S electric scooters. Includes mounting hardware. 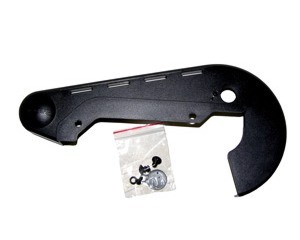 Replacement chain guard for version 36 and up of the Razor® E200 and E200S electric scooters. Includes mounting hardware. 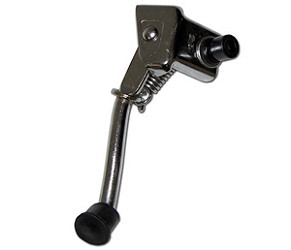 Brake lever with built-in brake switch for all versions of the Razor® E200 and E200S electric scooter. 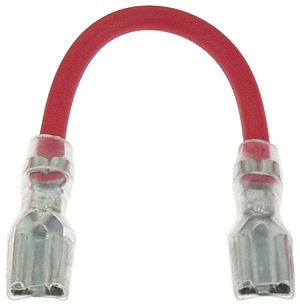 Rear brake cable for all versions of the Razor® E200 and E200S electric scooter. Complete rear band brake assembly for all versions of the Razor® E200 and E200S electric scooter. 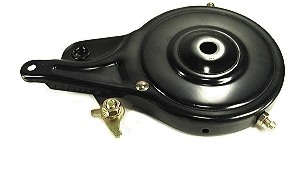 Complete rear band brake assembly for all versions of the Razor® E200 and E200S electric scooter. Chrome-plated finish. Front wheel with axle, spacers, and mounting hardware for all versions of the Razor® E200 electric scooter. Rear wheel with built-in belt cog, tire, tube, brake, axle, axle spacers, and mounting hardware for all belt drive Razor® E200 and E200S electric scooters. 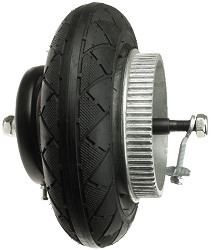 Rear wheel for version 5-27 Razor® E200 and E200S electric scooters. Includes tire, tube, chain sprocket, brake, axle, axle spacers, and mounting hardware. 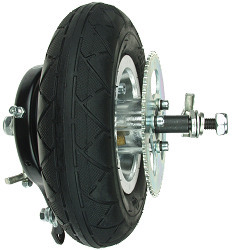 Rear wheel for version 28-35 Razor® E200 and E200S electric scooters. Includes tire, tube, chain sprocket, brake, axle, axle spacers, and mounting hardware. Rear wheel for version 36 and up Razor® E200 and E200S electric scooters. 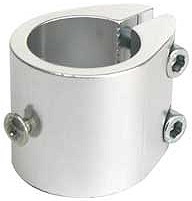 Includes tire, tube, chain sprocket, brake, axle, axle spacers, and mounting hardware. 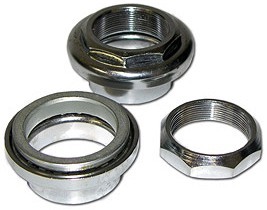 Headset bearing set with chrome finish for all versions of the Razor® E200 and E200S electric scooter. 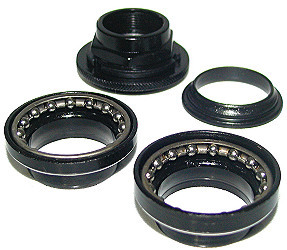 Headset bearing set with black enamel finish for all versions of the Razor® E200 and E200S electric scooter. Seat with seat post for version 38 and up of the Razor® E200 and E200S electric scooter. The seat post paint color is teal however it works with all colors of version 38 and up E200 and E200S scooters. Handlebar clamp with tightening bolts for version 38 and up of the Razor® E200 and E200S electric scooter. 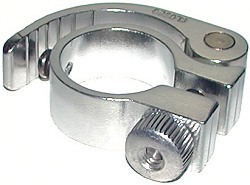 Seat post clamp for all versions of the Razor® E200 and E200S and E300 electric scooter. 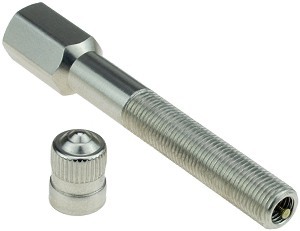 Seat bolts for all versions of the Razor® E200 and E200S electric scooter. Kickstand with mounting hardware and rubber bumper for all version of the Razor® E200 and E200S electric scooter. Folding handlebar mount for all versions of the Razor® E200 and E200S electric scooter. 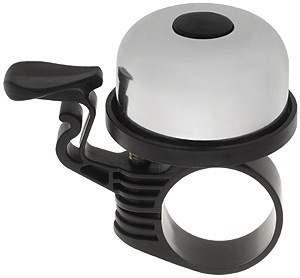 Includes handlebar height adjustment clamp. Light green color. 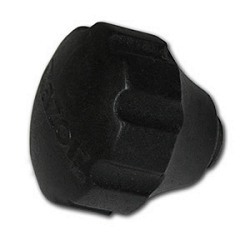 Folding handlebar replacement knob for all versions of the Razor® E200 and E200S electric scooter. 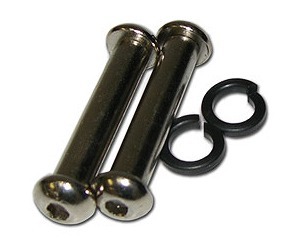 Foot deck screw set for the Razor® E200 and E200S electric scooter. 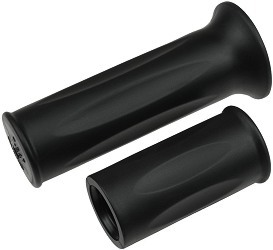 Handlebar grip set for all versions of the Razor® E200 and E200S electric scooter. 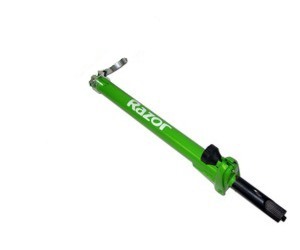 Front fork for version 38 and up of the Razor® E200 and E200S electric scooter. Teal paint color. 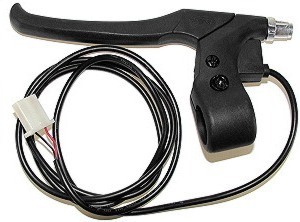 Handlebar with stem (t-bar) for version 38 and up of the Razor® E200 and E200S electric scooter. Teal paint color. 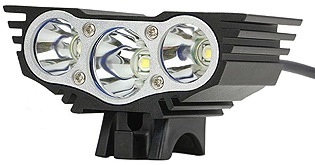 Super bright 2500 lumen rechargeable LED headlight set for all versions of the Razor® E200 and E200S electric scooters. 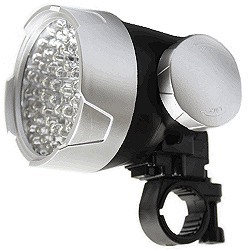 Machined aluminum and glass headlight construction with very good build quality. 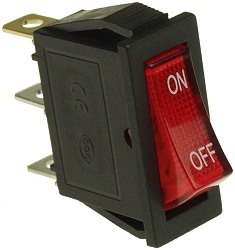 Lighted push button switch on back of light activates three different power modes: normal, high, and flashing. Normal power mode is very bright and suitable for almost all riding conditions. High power mode is extremely bright and suitable for higher speed riding and off-road trails. In flashing mode this light blinks on and off very fast. 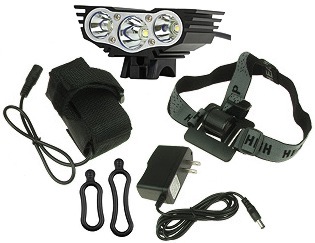 Includes optional adjustable headband, 2500 lumen three LED headlight, handlebar and headband mounting bands, 110-240VAC universal battery charger, and a 4400mA 8.4 Volt rechargeable lithium-ion battery in a black nylon carry case with Velcro mounting straps. The battery lasts around 7 hours on low mode, 3 hours on medium mode, 2 hours on high mode and takes 1-5 hours to fully recharge depending on how long the light was on for. 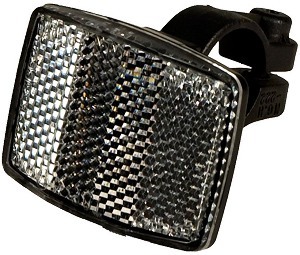 White safety reflector for all versions of the Razor® E200 and E200S electric scooters. Easy to install design. 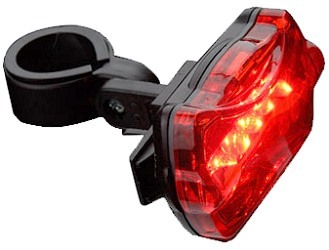 Rear red safety reflector for all versions of the Razor® E200 and E200S electric scooters. Mounts onto seat post. Safety warning bell for all versions of the Razor® E200 and E200S electric scooters. 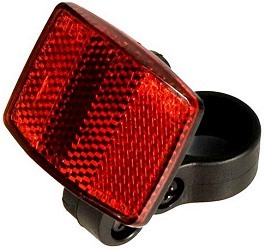 This bells pleasant sounding and attention grabbing chime bell sound lets others know that you are on the road or trail in a friendly yet effective way. 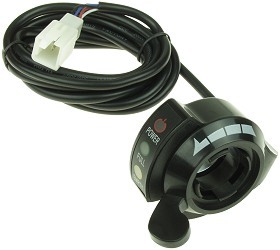 Compass bell for all versions of the Razor® E200 and E200S electric scooters. Pleasant sounding and attention grabbing chime bell sound. 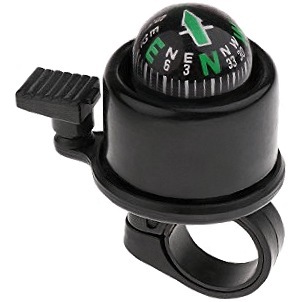 Easy to view real magnetic compass. Easy to install design. 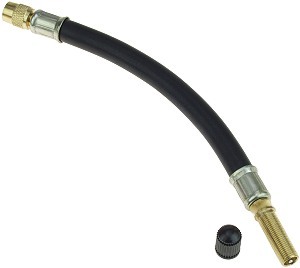 Instantly seals punctures in the tread area up to 1/8". Remains liquid, evenly coating the inside of the tube. Non-flammable, non-toxic, water soluble, easy to use. 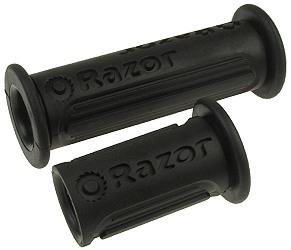 For the Razor® E200 and E200S electric scooter use 1/4 bottle of sealant per tire. 8 fluid ounce / 237mL bottle.